This week I'm tackling the topic of trick-or-treating gear. This is the third post in a series this month about maximizing your trick-or-treating success. If you missed the first two you can still enjoy them and should definitely read them to fully understand my trick-or-treating for success system ("Trick-or-Treating: From A to Z" and "How to Pick the Best Neighborhoods: go where the candy is"). When I accepted my friends invitation to go trick-or-treating with his family I was given instructions on what to bring and wear. Of course my costume was one of the things I was supposed to wear. Guidelines were given on my shoes. A candy basket/bag for the trick-or-treatees to put the candy in. A brown paper grocery bag with my name on it. And pajamas (but those were because I was spending the night, not for the trick-or-treating). Let's discuss each item (except the pajamas) individually and what guidelines were given for each. The Costume. I was instructed that I should pick one, if possible, that would be warm enough that I wouldn't need a jacket or coat but that also would not be too hot since I would be running all evening. If I could come up with a way to layer my costume that would be even better. For example, if I were going to be a ghost a white sheet would not be enough. I would be too cold. What I could do to layer that costume would be to have several sheets or use an old white blanket on top. That way when I started the evening and was colder the blanket would keep me warm. Once I warmed up from the running I could take the blanket off quickly without losing any time and be fine temperature wise. I think that year I was Batman so I wore all black with a black jacket/coat over my black shirt. It worked like a charm. About thirty minutes into the trick-or-treating I needed to take the coat off to keep from overheating (even though it was like forty-five degrees that year). The Shoes. Sometimes people don't think about their footwear when they plan their Halloween but when we look at Halloween as a competition (and it rightfully should be) we need to think like an athlete. Athletes take great care of their feet, especially runners. If their feet become sore or injured it impacts their performance. The same is true of trick-or-treaters. We wore tennis shoes, our most comfortable pair. This is, however, one place that you may have to compromise on the costume. A princess or a warlock don't typically wear tennis shoes so that part of the costume may be unrealistic but keeping your child's feet protected is worth the deviation. Wear comfortable, broken-in tennis shoes! The Candy Bag. We're going to be collecting a TON of candy, right? Therefore, it stands to reason that we should carry a pillowcase with us to hold all of the candy. WRONG. You want a small bag or bucket that maybe holds a pound or so. If the bag becomes too heavy it will slow you down. But what do I do when it is full? Am I done trick-or-treating? No way. Here's where the brown paper grocery bag comes in. A Brown Paper Grocery Bag. 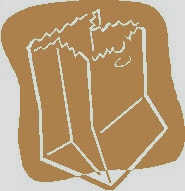 We'll be discussing trick-or-treating logistics in detail next week but we need to quickly hit on one aspect of that today and that is the brown paper grocery bag (you could also use a plastic tote or anything else that will hold its shape; plastic bags are no good, pillowcases are also bad). When the hand-held bag or bucket begins to get heavy the trick-or-treater dumps it out into their own designated brown paper grocery bag. Then they can continue on unburdened by the weight of others' generosity. The brown paper grocery bag will be in the support vehicle which I will explain more about next Wednesday. Suffice it to say, you must have a brown paper grocery bag for each trick-or-treater. It's pretty much this simple. Keep in mind layered clothing, tennis shoes, a small candy bag/bucket, and a brown paper grocery bag and you're well on your way to increasing your haul this Halloween! Next week I'll be explaining the logistics of Halloween night. Don't miss it! What gear do you recommend? Leave a comment and tell us. Pretty please? Wow. I should be a kid again. I never put thought into ANY of that! Halloween isn't about fun. It's about winning.